Understanding Cultural Diversity in Education: Perceptions, Opportunities and Challenges is the result of a collective work by different European, American and Asian experts. The aim is to encourage reflection on cultural diversity in the area of social sciences, particularly in the field of education. To this end, it includes different research and theoretical works with an in-depth study of the concepts that teachers and different educational professionals have in relation to cultural diversity, analysing the most common responses to cultural diversity management in the socio-educational sphere, highlighting the hurdles, supports and opportunities that mediate said process, and emphasising the main challenges to overcome in the development of an intercultural school and inclusive society. The different thematic areas studied include the value of anthropology in understanding the cultural diversity of contemporary societies, the socio-economic conditions influencing the socio-educational inclusion of immigrant families, the educational administration’s policies and initiatives on interculturality, how educational professionals conceive cultural diversity, how cultural diversity is managed in schools, the training needs of teachers in intercultural skills, the possibilities of the intercultural curriculum and second language learning for the inclusion of immigrant students, and the acculturation and assimilation processes of the Roma community in schools. This volume – consisting of ten chapters – has a clear international and interdisciplinary projection, combining the views of anthropology, sociology and pedagogy. The studies presented highlight the value of qualitative and ethnographic research as well as the active role of students, teachers and school in change, research and innovation. 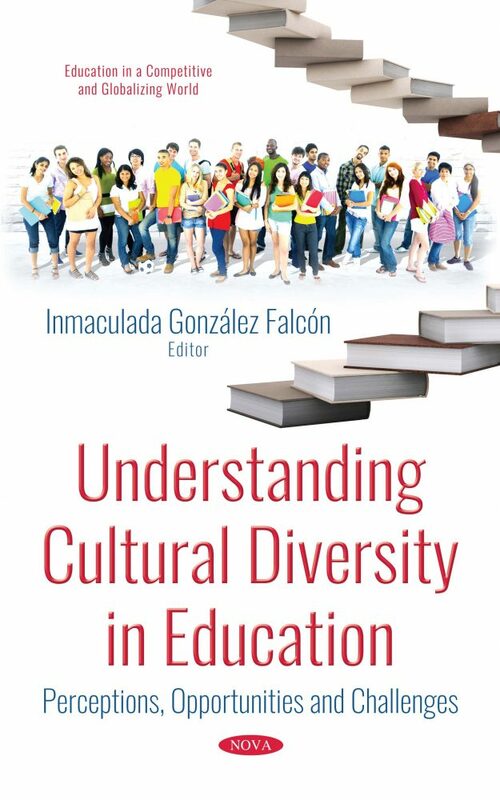 This book is a fundamental resource for all those interested in intervention and research on cultural diversity in the socio-educational field. Keywords: Cultural diversity, education, intercultural school, inclusive society, cultural diversity management, educational administration’s policies, immigrant families, family-school relationship, intercultural skills, multiculturalism, interculturalism, intercultural curriculum, second language, immigrant studentes, Roma community, Social Sciences, Anthropology, Sociology, Pedagogy, qualitative and ethnographic research, educational innovation. The book is a fundamental resource for all those interested in intervention and research on cultural diversity in the socio-educational field. It is recommended especially for university teachers, university students, PhD students and researchers of Pedagogy, Sociology and Anthropology.